Death toll : India : approx 40. 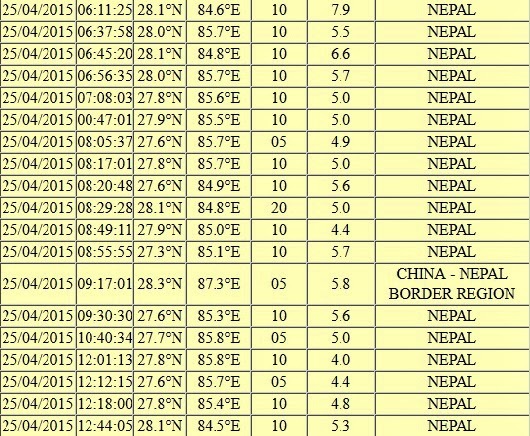 Nepal crossed 1000 at 1930h IST. Comunication is becoming difficult with our relatives and friends in Kathmandu because of power outages and their inability to charge mobile devices.